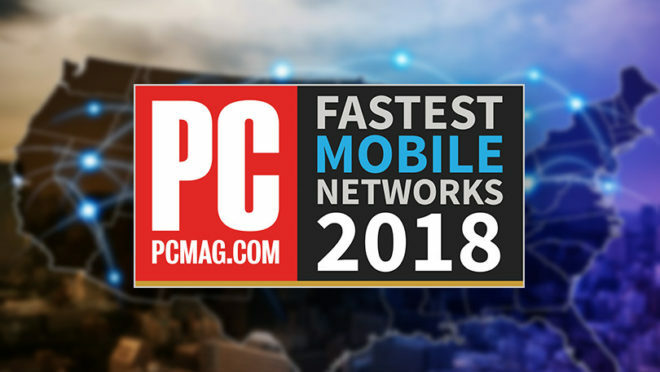 Earlier today, PC Magazine unveiled the results of its Fastest Mobile Networks survey with Verizon landing on the top spot as the 4G leader once again. But if there’s something worth noting about the results of this survey is that T-Mobile earned the spot of being the top provider in 12 major cities and 3 rural areas. PC Magazine’s survey examined the speed performance of the top four wireless carriers across over 30 cities in the country. The speed score was gathered after certain factors: upload speed, download speed, and reliability. For its fifth consecutive year, Verizon garnered the national award; earning a 99 speed score on the survey. Following its footsteps is T-Mobile, which earned a score of 93, followed by AT&T with a score of 88 and Sprint with 75. It’s important to note that the ranking T-Mobile received from PC Magazine is consistent with the network analysis released by OpenSignals back in January. In its study, OpenSignals recognized T-Mobile as the number one service provider for Denver, when it comes to download speed and availability. The results of PC Magazine’s study follows reports of a merger between T-Mobile and Sprint, which will likely level the game with the other two carriers. You can read the full results of the study here. Good job, TMO. However, work harder and faster on better indoor coverage. this results are great comparing from where Tmobile came from. still not good enough when Verizon is right there and carrying almost double your load. I always take this comparisons with that disclaimer. impressive but more impressive would be indoor coverage and reliability in everyday heavy congested areas. Fastest but not the best coverage. Where’s that report at? Interesting. In my home, I used to get horrible service but now I have no problems. And I found that they’re service wasn’t consistent over the Houston area. But over the last few months with the upgrades I’ve seen a huge improvement. Much appreciated TMobile. I was just in Vegas, last week, outside on the strip, service was fast. In treasure island, specifically in room, service was terrible. T-Mobile also earns the worst mobile network in buildings.